The Dallas Stars, one of the teams taking the week off, have sent several players to the minors for that stretch, including defenseman Connor Carrick, who is reassigned on a conditioning loan. Young forwards Roope Hintz and Denis Gurianov will also head to the AHL’s Texas Stars for at least the coming week. The trio have all seen limited play time in the NHL this season, so rather than let them sit for a week while healthy, Dallas has opted to give them the opportunity to get some work in with the AHL squad. The Carolina Hurricanes announced that they have recalled defenseman Haydn Fleury from the AHL’s Charlotte Checkers. Fleury, who played in 67 games with the ’Canes last season, has only been with the team for ten contests this year. The 22-year-old was the seventh overall pick in the 2014 NHL Draft, but thus far has been unable to show elite offensive ability at the top level. Carolina will continue to give him chances when they can, but behind a deep and talented group of defensemen, Fleury will have to do more with his opportunities moving forward. Brett Cyrgalis of the New York Post suggests that the New York Rangers, also on bye, will send top pro defensive prospect Ryan Lindgren down to the AHL during the break rather than make him sit for a week. Lindgren’s recent recall received great fanfare from the Rangers’ faithful and this bye week demotion back to the Hartford Wolf Pack won’t change the team’s plans, which likely are to keep Lindgren in the starting lineup for as much of the remainder of this lost season as possible. Cyrgalis adds that another Rangers rookie, Brett Howden, will not be sent down, as the team hopes some time off will help him break his recent slump. The Pittsburgh Penguins have reassigned recently-acquired forward Joseph Blandisi to the AHL, the team announced. It wasn’t clear where Blandisi fit in the Pittsburgh lineup after the trade that sent Derek Grant back to the Anaheim Ducks, so the team will let him serve as minor league depth for the time being. Blandisi has found success as a scoring forward in the AHL and will be an asset to the Wilkes-Barre/Scranton Penguins, but he has been unable to translate that ability to the NHL in stints with the Ducks and New Jersey Devils and will need to adopt a more physical, energy line role to stick at the top level. The “bye week” claims another, as the resting Columbus Blue Jackets have sent Kevin Stenlund down to the AHL’s Cleveland Monsters. Stenlund made his NHL debut last week and did not look out of place in a bottom-six role, but nevertheless is better suited to get some additional work this week in the minors rather than sitting. Don’t be surprised to see the big 22-year-old center back up in Columbus after the break. CapFriendly reports that defenseman Anton Lindholm has been recalled by the Colorado Avalanche. Lindholm has been up and down several times for the Avs this season, but has only skated in two games with the team after suiting up for 48 games last year. The small, but solid stay-at-home defender has shown some more offensive ability with the AHL’s Colorado Eagles but until he can provide a little more production at the NHL level, he’s likely nothing more than a replacement-level depth option. 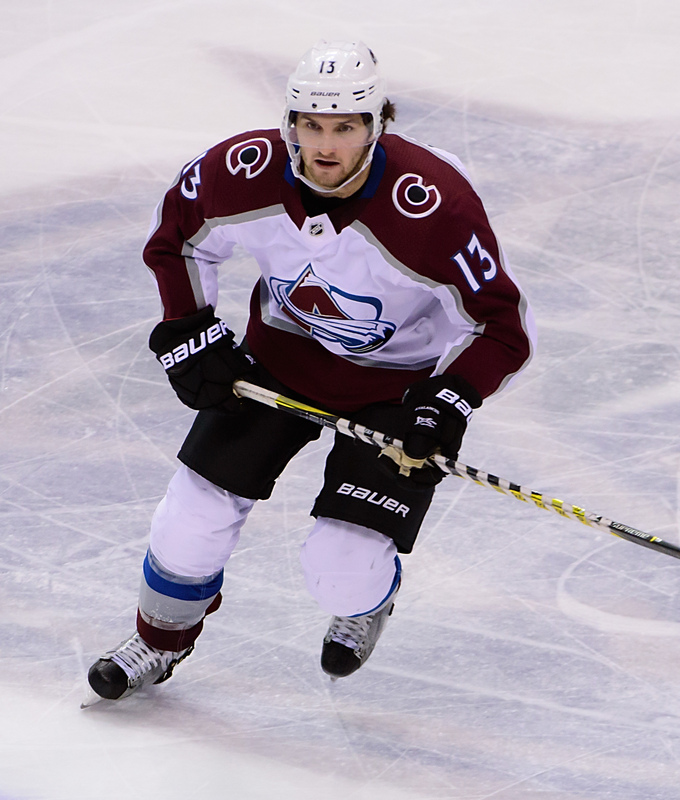 The Avalanche also announced that forward Dominic Toninato has been recalled as well. CapFriendly also adds that the Winnipeg Jets have sent little-used defenseman Cameron Schilling down to the AHL’s Manitoba Moose for the bye week. The veteran has only skated in four games with the Jets in his first season with Winnipeg, but did record his first NHL point back in November. Schilling is a ways down the depth chart for the Jets, but has the experience to step in if need be down the stretch. To keep him sharp, they’ll send him back to the AHL, where he’s played 27 games this season. With no game until Jan. 28, the Jets also have assigned defenseman Sami Niku to Manitoba, according to CapFriendly. The 22-year-old has fared quite well filling in on Winnipeg’s blueline. Peter Cehlarik has played well alongside David Krejci and Jake Debrusk since his recall three games ago, but with the Boston Bruins hitting their bye week, they have announced that Cehlarik is headed back down to the AHL’s Providence Bruins. Cehlarik has been perhaps the closest thing to a solution on the Bruins’ second line all season and is sure to be back up after the break. In the meantime, The Providence Journal’s Mark Divver suspects that Cehlarik could replace the injured Ryan Fitzgerald at the AHL All-Star Game. The San Jose Sharks announced they have placed defenseman Marc-Edouard Vlasic on injured reserve today and have recalled defenseman Jacob Middleton. The team has been without Vlasic for eight games already with an undisclosed injury, so he can return to the lineup whenever he is ready. Vlasic’s number’s and play have dropped a little this season, but the team still misses his blueline skills as the Sharks have now lost two straight. The 23-year-old Middleton has appeared in one game for the Sharks this season. He has two goals and 12 points with the San Jose Barracuda of the AHL. The NHL season will get underway in just a few hours, and teams have already started tinkering with their rosters. Throughout the year we’ll keep track of all the minor moves around the league and elsewhere in the hockey world. The Colorado Avalanche are sending Dominic Toninato to the AHL for the time being, signaling that one of their injured players may be close to returning to the lineup. Mike Chambers of the Denver Post also tweets that the team is likely to carry fewer than 23 players at times during this season, given the new geographical proximity of their primary affiliate. The Colorado Eagles joined the AHL this season, giving the Avalanche a team that they can quickly get players up from on short notice. Nate Schmidt won’t be with the Vegas Golden Knights for the next 20 games after his PED suspension, but that doesn’t mean he won’t be on the ice with a professional team. Schmidt—hilariously, given his former team in Washington—will practice with the Vienna Capitals in Austria while he waits out his NHL ban. The Columbus Blue Jackets have activated Ryan Murray from injured reserve in time for their opener, while moving Scott Harrington to the IR with his concussion. Murray has a lot to prove this season after signing a one-year deal in the offseason, and should get increased opportunity with Seth Jones starting the year on the shelf. It didn’t take long for the Detroit Red Wings to bring some players back up, as Ansar Khan of MLive reports that Filip Hronek, Joe Hicketts and Luke Witkowski have all been recalled. The trio were sent down to finalize the roster this week, but with Jonathan Ericsson and Niklas Kronwall being moved to injured reserve, reinforcements were needed. Emerson Etem had his NHL tryout ended this week, but has signed another one with the Ontario Reign. Etem is trying to catch on somewhere and show that he still has some of that immense potential he showed early in his career. The 26-year old has played so few games over the last few years that it’s hard to believe he’ll be back in the NHL at some point, but he’s still a name to keep an eye on. The All-Star break is upon us, and players all over the league will be flying away to get a few days of rest and relaxation. For some, the destination will be Tampa Bay to suit up and represent their team among the best of the best. For others, the minor leagues might be at the end of that flight, with no rest awaiting them. Many waiver-exempt players will be sent down this weekend, though not all of them will actually suit up for their AHL squads. We’ll keep track of all the minor movement right here. The Carolina Hurricanes have sent Haydn Fleury to the minor leagues, where he’ll be able to suit up tonight and tomorrow before likely returning to the NHL. The 21-year old defenseman has played 39 games for the Hurricanes this season, recording six assists but still looking for his first NHL goal. Minnesota, who have used every opportunity to bank cap space this season, have sent Kyle Rau and Joel Eriksson Ek to the AHL for the time being. Both players have spent time in the minors this season, but are expected to get the call back up to the NHL after the weekend. 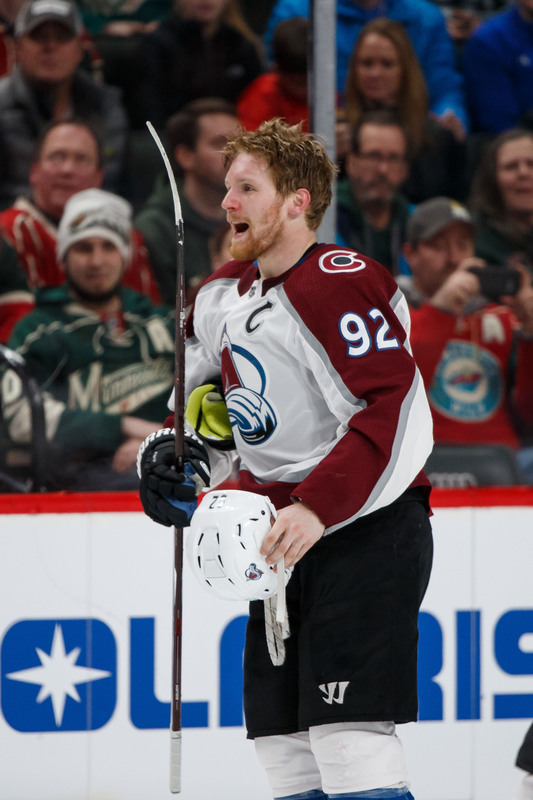 The Colorado Avalanche have three players on their way back, sending A.J. Greer, Dominic Toninato and David Warsofsky to the minor leagues today. The surprising Avalanche are hoping to get a few healthy bodies back after the break, which might mean a longer stint for a few of the above players. Michael Dal Colle, Tanner Fritz and Ross Johnston are all on their way back to the AHL, the New York Islanders announced today. Dal Colle, the fifth-overall pick in 2014 is still looking for his first NHL point through four games with the club. The Buffalo Sabres have returned Matt Tennyson to the AHL, as he’s still able to be demoted without clearing waivers. Tennyson hasn’t had much of an impact on the Sabres this season, playing in just 14 games. Anthony DeAngelo, Peter Holland and Vinni Lettieri are all on their way to the minor leagues, though whether they’ll actually play for the Hartford Wolf Pack isn’t certain. All three should be back up with the New York Rangers following the break. The New Jersey Devils have sent Kevin Rooney and Mackenzie Blackwood back down, and with Cory Schneider and Keith Kinkaid coming closer to returns Blackwood likely won’t be back. The young goaltender will have to wait for his next opportunity in the NHL. The Calgary Flames have returned Andrew Mangiapane, Marek Hrvik and Ryan Lomberg, and you can expect at least two to return after the break. Mangiapane has been quite the find for the Flames, drafted in the sixth round but showing he could be a legitimate NHL open down the road. Though he’s still scoreless through his first eight games with Calgary, the 21-year old has 35 points in 30 AHL contests. Ottawa has sent Erik Burgdoerfer, Colin White and Chris DiDomenico to the minor leagues, though all three will likely return after the break. The Senators roster may look very different in the coming weeks, which could provide an opportunity for White, a top prospect, to take hold of a bigger role. Troy Grosenick has been sent down by the San Jose Sharks, and Curtis Pashelka of the Mercury News reports that Martin Jones should be ready after the break. Even though Aaron Dell has been one of the league’s best stories, getting Jones back only strengthens a beat up Sharks team. David Booth has been brought back up by the Detroit Red Wings, while Dominic Turgeon is on his way to Grand Rapids. That’s probably to get Turgeon into some games over the break, but it is interesting that Booth is back up. On a two-way deal, he earns more money while in the NHL. Samuel Montembeault is on his way back to the AHL, leaving the Florida Panthers without actually getting into a game. The 21-year old goaltender could be back up if James Reimer isn’t ready to go after the break. Dillon Heatherington, Jason Dickinson and Julius Honka have all been loaned back to the Texas Stars, a huge upgrade for the team if the trio all play this weekend. Heatherington has shown that he might be a surprise option for the Dallas Stars on the blueline this season, while Honka and Dickinson both still hold huge upside. The Toronto Maple Leafs have loaned defenseman Rinat Valiev back to the minor leagues, and he might not get a chance to come back if either Morgan Rielly or Nikita Zaitsev are ready to come off injured reserve after the break. As James Mirtle of The Athletic points out, short stints have huge financial ramifications for minor league players two-way contracts, even if they don’t get into any games. The Winnipeg Jets have swapped goaltenders, recalling Jamie Phillips and sending Michael Hutchinson back to the AHL. Hutchinson will stay sharp with some games for the Manitoba Moose during the break, and then likely return to backup Connor Hellebuyck while Steve Mason deals with a concussion. The team has also returned Brendan Lemieux to the AHL for the time being. According to Aaron Portzline of The Athletic, Markus Hannikainen, Dean Kukan and Joonas Korpisalo are the Columbus Blue Jackets on their way down, with Jeff Zatkoff coming up to fill roster requirements. The trio will all likely be back up after the weekend. Pittsburgh has sent Jean-Sebastien Dea to the minor leagues, where he has 23 points on the season. Dea scored his first NHL goal just a few days ago, and has played in four games now for the Penguins. Not long after calling him up to replace the suspended Brad Marchand, the Boston Bruins announced that they have returned Anders Bjork to the AHL. Although Bjork was bumped down the lineup out of Marchand’s top line spot in the Bruins’ game last night, chances are he will be called back up after the All-Star break with Marchand set to sit for four more games.